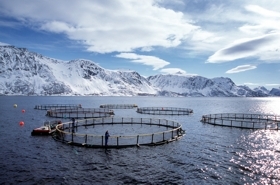 AquaCase is a portal designed to provide you with information about different types of aquaculture facilities, how they are built up, and how they operate. The purpose is to create a virtual tour of the facilities in order to provide much of the information you would get from a field trip. In an educational context, this is meant as a supplement to traditional classroom teaching. The published material will also be used as background information for assignments as needed. You can at any point see where you have navigated with the "You are here" overview at the top of the page. You can then click anywhere to navigate back. To scroll directly to the subheadings you are interested in, you can use the quickjump bubble on the right. Should you want to return to the top of the page, simply click the "back to top" icon next to each subheading. Some sections might make additional materials available to you, such as documents, Internet links, photos and videos and guidance to case-related learning activities. If applicable, a table like the one below is shown with appropriate links to the materials. Furthermore, we wish to thank Norway Opening Universities (Norgesuniversitetet) for their support in the initialization of the project and Aqua-tnet for supporting the further development until 2015.